In this day and age of high energy prices, Atlanta homeowners need to make sure that their properties have the proper amount of insulation. Insulation provides a resistance to heat flow. As such, it keeps heat out of your residence during the summer, and it keeps heat within your residence during the winter. In this way, it promotes the performance of your heating and air conditioning system, allowing you to keep your property more comfortable more efficiently. If you are concerned about the adequacy of the insulation in your Atlanta home, the first thing that you should do is contact a professional. At Southeastern Insulation, our Atlanta insulation contractors are here to help you with all your needs. We can inspect your insulation with high tech equipment in order to determine then best way to promote the energy efficiency of your property. We can then install both traditional and spray foam insulation in your property. 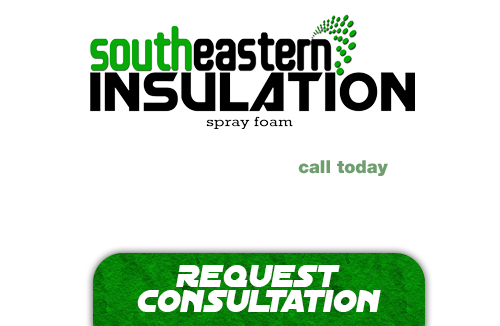 Call Southeastern Insulation today if you need to hire an insulation contractor in Atlanta. Our courteous and polite staff would be happy to assist you in any way that we can. Our experts can answer any insulation questions that you may have. We can schedule your appointment today. In order to understand how insulation works, it is important to know about the three methods of heat transfer: conduction, convection, and radiation. Conduction is the method through which heat moves through materials. Convection involves heat flow through liquids and gases. Radiant heat, our infrared radiation, heats any object that it hits. Most insulation is in place to hamper the transfer of energy through the first two methods. A properly insulated home has a conductive barrier that prevents heat transfer between the interior and exterior of the property. A well designed insulation installation will account for heat convection. In this way, insulation can keep the interior of your Atlanta home warmer in the winter and cooler in the summer. In order to ensure that you have the best insulative barrier within your Atlanta home, it is important to trust a professional with the task. At Southeastern Insulation, we have the knowledge, skill, experience, and equipment to provide you with the highest quality services. 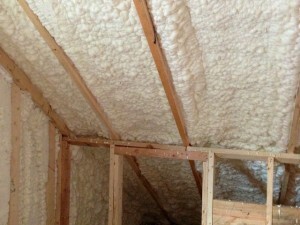 We specialize in using all types of insulation and can achieve the optimal R-value for you and your property. In the end, you can feel confident knowing that you are not wasting money to heat and cool your home because of inadequate insulation. If you need to hire a professional insulation contractor in Atlanta, call Southeastern Insulation today at 678-561-3626, or fill out our online request form.